Navigation technologies appear to be losing their charm among new car buyers in the United States. Twenty years after Detroit introduced the first in-vehicle car navigation systems, employing GPS and digital map technology, collision avoidance appears to be the common theme among the most popular automotive technologies, according to a new J.D. 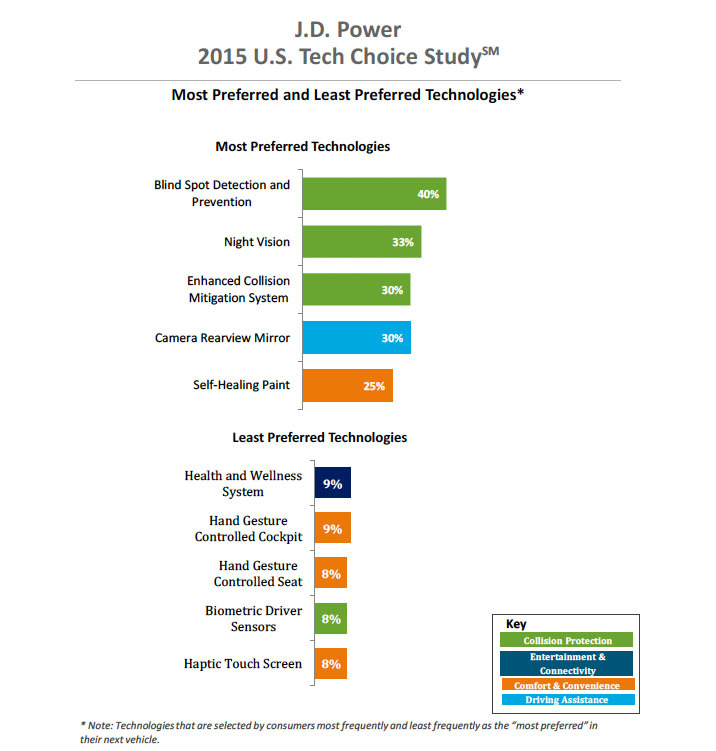 Power study released last Wednesday (April 22, 2015). The incorporation of GNSS and inertial technologies is helping drive an explosion of systems development and applications of unmanned systems. On Tuesday, September 29, Inside GNSS and NovAtel presented a 90-minute web seminar showcasing some of these applications, including the use of remote sensing technologies to assess pest populations in commercial crops and to conduct infrastructure inspections, with the aid of air and ground vehicles. Nowhere has the fact that GNSS can guide things besides military weapons and transport manifested itself more profoundly than in agriculture. While Google and automotive manufacturers struggle to figure out how to put autonomous vehicles on the highway, farmers have been using GNSS for well over a decade to guide equipment through their fields — along with a host of other ag-related, site-specific applications. Indeed, GNSS — along with an array of other high-tech resources — is transforming agriculture at an accelerating rate. The Institute of Navigation’s 2015 International Technical Meeting will take place January 26-28 at the Laguna Cliffs Marriott Hotel in Dana Point California. Online registration is available. Discounted Registration and hotel reservations end January 5. The day is coming when automated vehicles will be a common sight on our roadways, and the Florida Department of Transportation (FDOT) intends to be prepared for their integration into daily traffic operations when that day arrives. The number of special requests to fly unmanned aircraft commercially has surpassed 130 as firms search for a way around a federal ban on for-pay flights. The new numbers came to light the same day a court decision underscored regulators’ authority to rein in the industry with restrictions unlikely to be lifted until new rules are put in place years from now. An unmanned aircraft captures attention on the Corpus Christi campus. The Pan-Pacific UAS Test Range complex is likely the largest of the FAA test ranges both in terms of its number of participants and its geographic coverage. The University of Alaska Fairbanks manages the team, which comprises some 59 contributors including Oregon and Hawaii as well as the countries of Norway, Ireland and Canada. Clockwise from top left: A small drone rests on the ground during a demonstration in Florida, The Golden Eagle, a UAV developed at Clarkson University, takes wing, Nick Roy smiles at a drone in a lab at MIT, The Qube unmanned aerial vehicle by AeroVironment. Stanley, an autonomous car developed by the Stanford University Racing Team, won the 2005 DARPA Grand Challenge after successfully traversing a 132-mile course. Interest in automated vehicles is surging, fueled by visions of computer-directed cars able to independently thread their way through a traffic jam before safely dropping off their otherwise-occupied passengers and finding their own parking place. My first encounter with an unmanned aerial vehicle, or UAV, was at the German Aerospace Center (DLR) in Oberpfaffenhofen Germany. Here, I watched in awe as a small quadrotor operated in an indoor flight testing “holodeck,” complete with an array of high-frequency strobe/camera units designed to log, stream and visualize precise position and attitude for rapid 3D mapping. A series of ABI Research studies released in recent months sketches a promising future of robust growth in GNSS OEM markets. The London- and New York–based company’s 2014 GNSS IC vendor matrix released today (June 30, 2014) concluded that Qualcomm is the leading GPS IC vendor, followed by Broadcom, and — for the first time — MediaTek in third place after another year of strong growth and robust shipments as a result of its targeted design strategy.